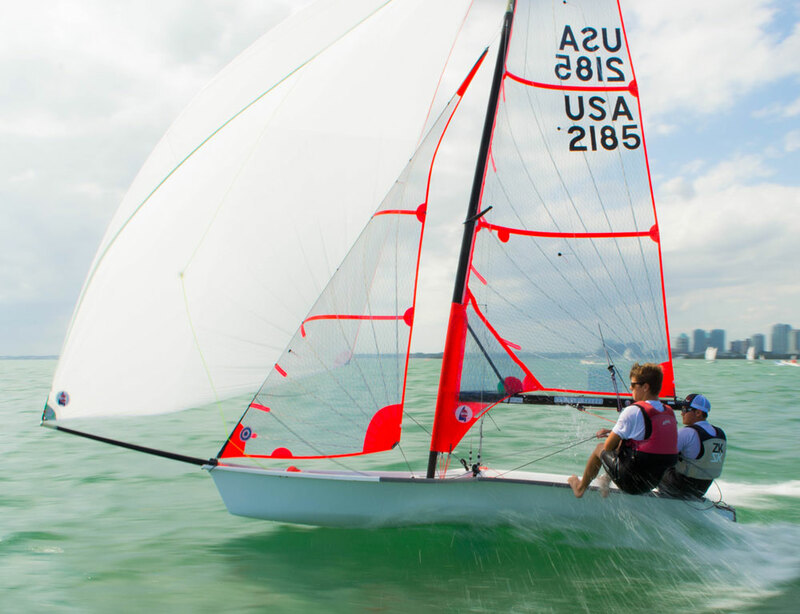 Top youth sailors from around the country, plus select international athletes, took advantage of the Thanksgiving holiday to assemble in Miami for three days of intensive and innovative training. 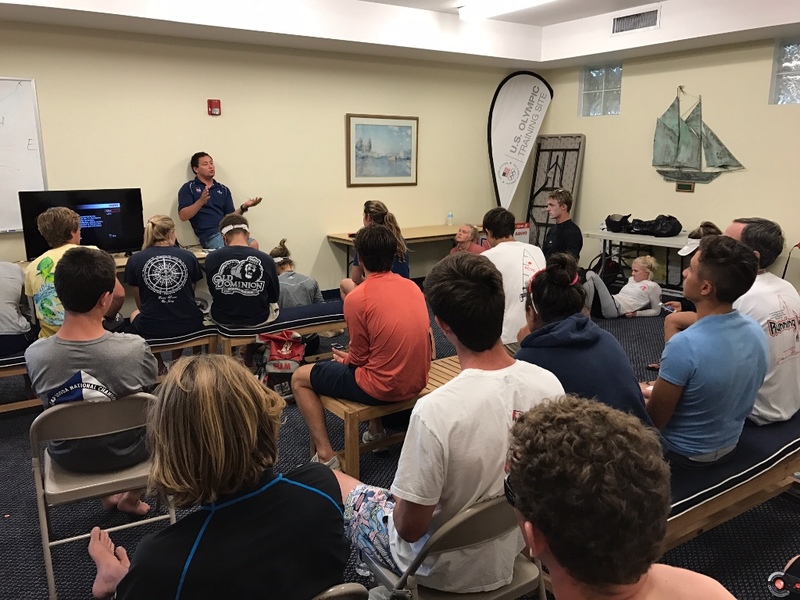 Organized by US Sailing’s Olympic Development Program (ODP) in cooperation with regional racing teams and the US Sailing Center Miami, the ODP Racing Camp challenged athletes to demonstrate their skills in a hybrid racing and educational environment. Results were kept, but coaches, including regular ODP staff and coaches from a number of regional training groups focused on collaboration and identifying areas of mutual improvement. Coaches were able to approach sailors during all stages of the racing and provide continuous feedback. Each day the full group gathered for a morning debrief to discuss what was learned the day before and the plan for that day’s racing. The camp was open to youth sailors in the 29er, International 420, Laser Radial and Nacra 15 classes, which are mainstays of top international youth competition. While there was a spread of skill levels and a variety of agendas and goals among the 133 sailors, the camp went smoothly and the response from sailors was universally positive. Results can be found here. The weekend also served as the final training camp for a handful of American teenagers who will head to Auckland, New Zealand, in a few weeks for the 2016 Youth World Sailing Championships. Augmenting the preparation of U.S. Youth Worlds Team athletes is a key annual objective of the ODP, and this year’s effort was the most extensive yet. In addition to receiving elite coaching, 2016 YWT athletes at the camp had the benefit of being pushed hard by dozens of the country’s best sailors, some of whom will go on to represent the United States at future editions of the world’s premier youth sailing event. “The reason this camp worked really well is all the coaches were on the same page; they understood that we’re focused on helping all sailors. We controlled the environment, so we decided whether to have an extra race, when to start sailing, whether to make the course longer or shorter or to favor one side of the starting line. We started each day with a morning briefing where we talked about the day and then each group was free to follow its own routine. After racing, everyone debriefed on their own. The next morning we regrouped and talked about what we learned the previous day. ODP camps are a natural place for everybody to work together and to race. It worked so well, we’re so excited about it, we’re going to do it again next year.”The morning briefing is when we encourage everyone to share. We had regional team coaches briefing all the sailors and sharing what they’d seen the day before. We also had ODP experts talking about the mental and the technical components of the sport. We also had sailors sharing what they learned the previous day.